A gang choked a man as he walked home from a railway station in the early hours of Friday morning. 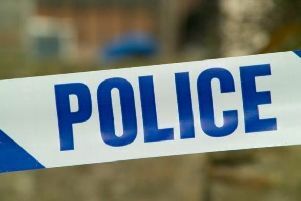 The victim was walking along The Alban Way from St Albans train station shortly before 2.15am when he was approached by a group of men who circled him and asked to hand over his belongings. One of the gang then put the victim in a choke-hold and the victim, who is in his early 20s, momentarily lost consciousness. When he came around the man realised some items had been stolen from him, including keys, a mobile phone and a Seiko watch. He also sustained a graze above one of his eyes and sore teeth as a result of the incident. The offenders are believed to have made off towards Vanda Crescent. Anyone with information is asked to contact Police on 101 quoting crime reference number F1/16/2677.